Que dire de la scène électro berlinoise sans stupidement redonder ? Grandiose, effervescente, incomparable, les adjectifs mélioratifs n'en ont pas fini de fleurir. Si vous aimez la minimal techno. Parce que passé la surprise béate offerte par des clubs magnifiques et une ambiance à chaque fois électrique, si vous ne venez que pour la musique et que, manque de bol, vous ne supportez ni la house, ni la minimal et affiliés directs, vos débuts berlinois vont s'avérer douloureux. Et donc, chez Die Frenchies, on aime et remercie DubDerGutenHoffnung dont la découverte nous a empêché de sombrer dans une dépression/hibernation musicale sans date péremptoire. Si vous aimez le dubstep/steppas/dub/jungle, ce collectif découvert à Subland en apporte un sélection exigeante et a choisi, plutôt que de se vautrer dans la facilité (se caler sur les bits trashy de la perfide Albion par exemple), de dispenser un style "back to basics" et pourtant atmosphérique, subtile ; d'une efficacité incontestable. Entretien avec Mio MindSteppa, valeur sure de ce groupe à l'avenir très prometteur. 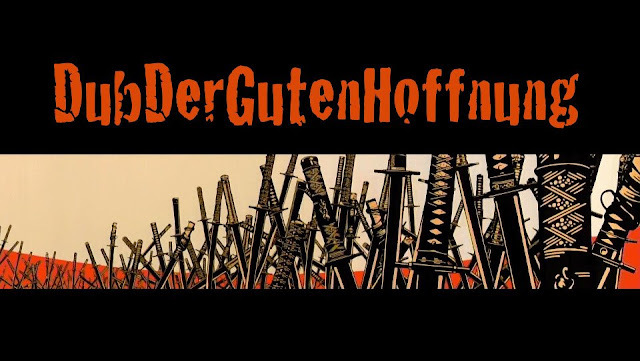 Where did the idea to create DubDerGutenHoffnung come from? Mio: Ever since i first discovered Dubstep music back in 2008, i followed its trail back to its rootz and dub influences, and soon it became this strong urge to set up an own Dubmusic Projekt in Berlin, and to combine traditional jamaican sounds with organic, modern Bass Music productions as the upcomin u.k dubstep scene was already succesfully doing it for quite some time. Who had the original impulse? How did you guys meet? Mio: From the very beginning of my “Dubjourney”, i linked with the Vinylist and longtime Rootzmusic Selektah “RAS LION”. We played a lot of Shows together, and soon earned attention from other artists like DARKWING DUB from Austria, who lived in Berlin at that time, and the american DnB and Dubstep Dj JIMI HANDTRIX. They both liked the idea and instantly jumped in to carry it further to actually make it happen. We made contact with more international Artist´s and supporters and connected with the SUBLAND CLUB BERLIN, witch had just opened up that year to set up the first nights. Where do you place yourself in this big entity which is “Dub music”? 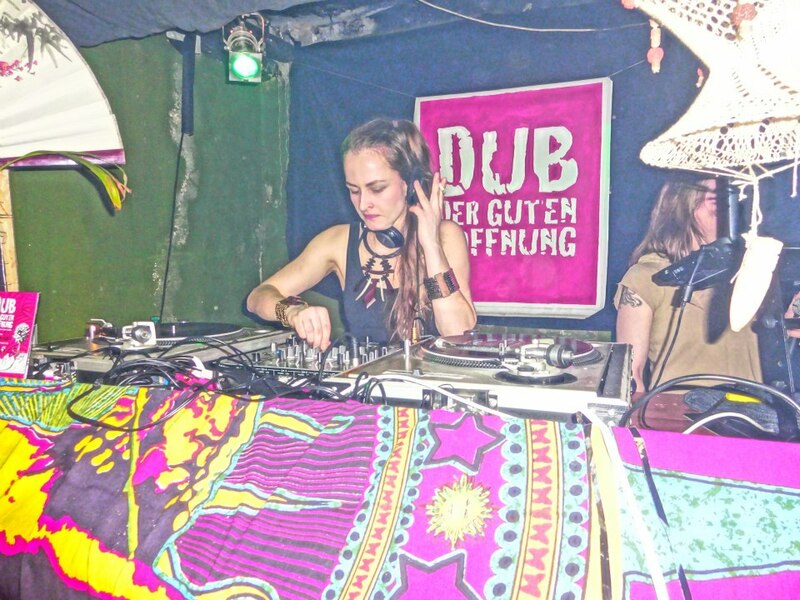 Mio: I would place myself and the crew somewhere in between the traditional “DubSoundSystem” Culture with influences of Reaggae and Rootz music and the modern Electronic Deep Bass Movement. Do you all DJs have kind of the same style, or do you guys try to embrace Dub in its widest range? I would say as a crew we do play kind of the same music but each of us has his/her own spezialty and favorites and an individual style of arranging a set and performing. And the constant growing Scene with a number of new quality releases every month, gives every dj these days, the variety to find their own style. The only word that comes to my mind to define my style would be “organic”. I came from a live music background and use to play quite a few instruments and just still view mixin and producing as a form of playing instruments, so weather its traditional Deep U.K Dubstep, modern Steppers Dub or futuristic Ragga Jungle and Dubwize, it got to have this organic, instrumental feeling to it and create an individual composition out of the tunes and samples i am using. As a DJ, where do you find your inspiration from? In the last couple years I got pretty lucky with traveling and got so see some of mother earth´s most beautiful places and nature events and still getting lotz of inspirations from these experiences and the good people I met along the way and in my environment, plus the thought of being part of this very special musical movement we are creating gives me inspiration and the confidence to follow it. What does “live” mean to you? Is it a very important and separated part of your work, or do you prefer producing music? Do you improvise sometimes? What are your best live memories so far? Mio: I am just starting to work on productions suitable for live performances. I am trying to give them the flexibility to allow me to improvise and arrange live on stage and still make them sound like a full quality tune and less like an experimental live session. It will be quite a task but I am really looking forward to it. Berlin is known for its huge minimal/house music scene, not really for Dubstep and Drum&Bass. Was it difficult at the beginning to impose yourselves? Was it hard to find your audience? Do you focus your attention on Berlin only, or do you play in “more friendly” places like England? 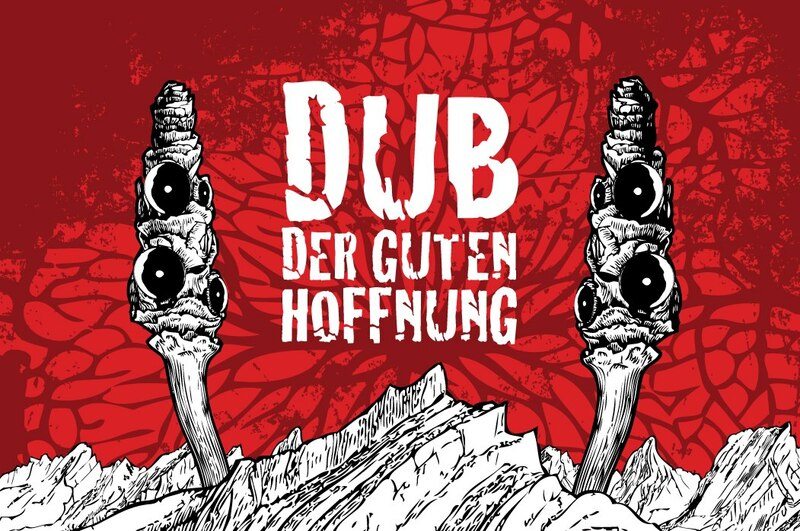 Do you see a change of view happening in Berlin towards Dub music? 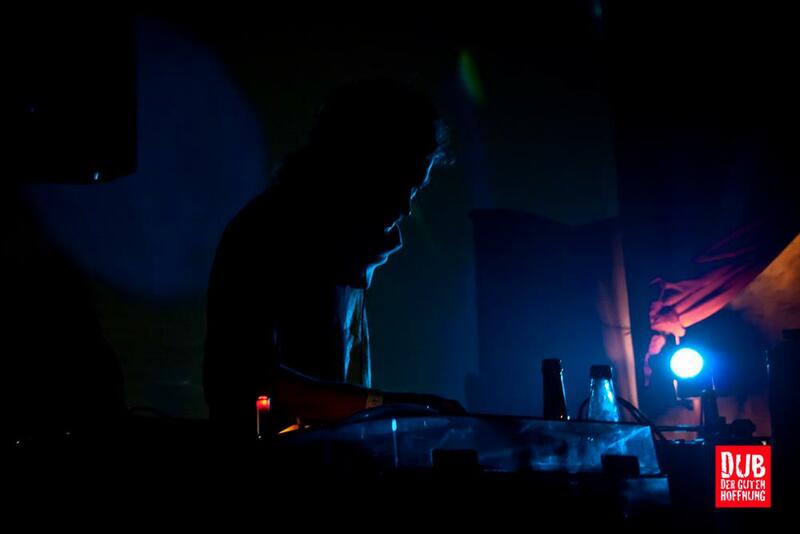 Mio: Its true, Minimal Techno always has been Berlins most wanted sound. And for a very long time it didnt seem to ever change. So we where quite surprised how well everything worked out for us in the last 2 years. From the very beginning of the movement we had quite a few grateful and supportive followers who all very much appreciated the needed change in Berlins nightlife. In the past we where playin in most major cities in Germany and Austria as we where touring in 2012. And we actually would like to do more gigs in Dub friendly environments like France and England, but on the other hand, Berlin is my hometown, my Base, and I do feel change happening as more and more people appreciate our work and slowly build up a proper Dubstep and Rootzmusic Scene and I wouldnt want to miss out on that by moving the project to a different country. Mio: Berlin´s never dying urge to celebrate and enjoy bass music any where at any time at any risk, still impresses and inspires me a lot. What are your plans next? Any big events, records or compilations? Lotz of things about to happen. We are very proud to finally announce our biggest and first Show at the legendary Rootz Music Club YAAM in Berlin, presenting no one less the MUNGOS HiFi and SOOM T on the 8th of May. 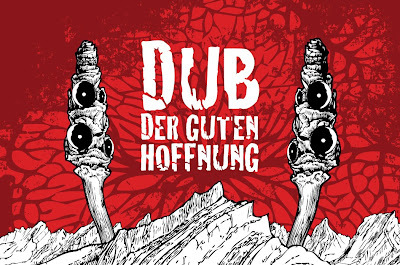 And there will be an official DubDerGutenHoffnung free Open Air Party at Mauerpark at the 30th of April. For myself I am constantly working on Remixes and Mashups at the moment and hope to be able to release my first Ep this summer.